← Which MLS areas of Reno and Sparks, Nevada saw the largest price increases in 2015? Which zip codes in Reno and Sparks, Nevada saw the greatest price increase in 2015? The table below shows the 2015 4th-quarter median sales prices for houses throughout the Reno and Sparks, Nevada metropolitan area, broken out by zip code. The table compares 2015 4th-quarter data to the same period from 2014. 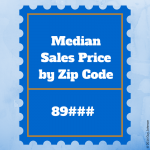 The zip codes are sorted by percent change in sales price, in descending order. It should be noted, three of the zip codes had very few sales (single digits) during time periods reported. Therefore a meaningful conclusion regarding the percent change in median price cannot be drawn. 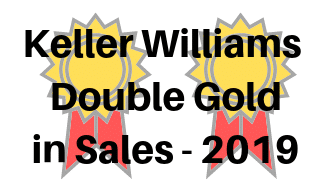 For example, zip code 89501 had only one house sale in Q4 2014 and only three sales in Q4 2015; therefore the 98 percent increase in median sales price is not accurate. I have denoted these three zip codes with an asterisk. Regarding the other zip codes the one that came out on top is 89512 (north Reno) with a whopping 34 percent increase in median sales price — Q4 2015 compared to Q4 2014. This finding is consistent with the results seen when breaking out percent increase by MLS Area. Coming in 2nd-place is zip code 89503 (northwest Reno) with a 23 percent increase. This link will take readers to a map showing the zip code boundaries for Greater Reno-Sparks, Washoe County, Nevada – provided by the Center for Regional Studies. * denotes less than ten sales for the quarter. Note: The median home price data reported above covers zip codes throughout Reno, Nevada and Sparks, Nevada. Residential data includes Site/Stick Built properties. Data excludes Condo/Townhouses, Manufactured/Modular and Shared Ownership properties. Data courtesy of the Northern Nevada Regional MLS – January 2016. Note: This information is deemed reliable, but not guaranteed. This entry was posted in Agent Insights, Market Trends, Neighborhoods and tagged median sales price, median sales price by zip code, price by zip code. Bookmark the permalink. One Response to Which zip codes in Reno and Sparks, Nevada saw the greatest price increase in 2015?